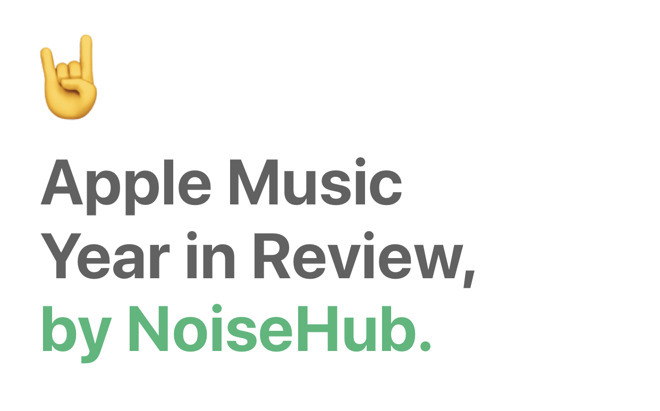 Music Year in Review is a free app available on the App Store that gives you a bit of insight into your listening habit and preferences. The idea is similar to Spotify's "Wrapped", but isn't nearly as full-featured. Likely due to third-party app limitations imposed by Apple. After launching the app, you grant it access to Apple Music and soon a series of cards are presenting highlighting your Apple Music history from the year. 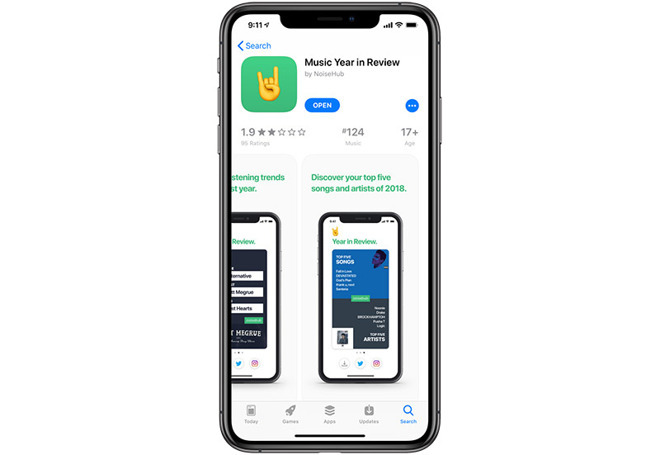 There are three graphics the app provides: graphic one shows your most played artist and how much time you spent listening to them, the second shows the top genre, artist, and song you played, and the last shows the top five songs and artists. Each of the cards has social buttons below them for easy saving or sharing via social media a la Instagram or Twitter. Really, that sums up the app which is limiting but more than Apple offers itself -- which is nothing. App crashes for me as soon as I enter my email address. Deleted and redownloaded 5 times and it did the same thing every time. Junk. This also seems like something that could have just been a web app. I did see others saying that the app crashed for them, but we didn’t have that issue. Luckily, it’s just free. It needs to be an actual app because it is using the Apple Music API and wouldn’t work if running as a web app. "By giving away your personal listening habits, this app will tell you what what songs and genres you like the most!" -- there, I fixed the title for you -- "and by signing up, the app will also link your data habits to your email and social media!" -- maybe you guys should raise some privacy concerns or at least mention privacy on your article, isn't that what journalism is about? Your soul! No actually, the very analytics they are presenting to you will enable them to pool the many different users and gain their own valuable insights on trends. This type of information is hard to acquire otherwise and allow them to charge other companies for consulting/advising based on their dataset advantage. "Give us access to your Music Library and we will tell you what you are listening to". The other side of the coin is, what is my data going to be used for? No thanks. So, why would I want or need analytics on myself? Who benefits here? Is it me?